First things first. We need to talk about the cost of laser hair removal in Pittsburgh. First, because having laser hair removal concerns your budget, right? Second, because laser hair removal is a luxury that costs money. And third, because I’m assuming you don’t have tons of money and money is an object. Let’s dive in and find out how not to get financially and literally burned getting laser hair removal. #1 Mistake When Having Laser Hair Removal – Not Asking How much? For many people who call us for the first time, – how much – is the initial thing they say before they even say hello. Even though you may not have a large budget, you probably have some kind of budget. And you want to spend it in the best way possible. You want the best value for your money. Our competitors offer only expensive packages. You have to pay it all up front. $5000 to $10000 for laser hair removal offered at the laser chains and med spas is kind of nutso. Did you really anticipate laser hair removal costing that much? Especially if you find out after you actually get started that it’s not right for you. No matter what your reason for not liking it – you are stuck. You’ve signed a legally binding contract. You are legally bound to pay it all up front – no matter what. That’s the biggest mistake made when having laser hair removal – by far. None of the other mistakes that I’m going to mention next even come close. Click the following to learn the cost of laser hair removal for the face at Happel Laser. Not researching the total cost is the second biggest mistake. Laser hair removal is marketed mercilessly. The idea is to try to create value without making you think rationally. Feelings and emotions are an integral part of the sales process. This tactic creates false value. If you don’t go to a doctor’s office, you will get an incredibly strong sales pitch and be persuaded by an expert. They will focus your attention on all of the good aspects and compare the savings you will have if you sign up that day. Always take the contract home and review it first after the emotional sales pitch and fervor has died down. Let it simmer overnight at least. Read these hidden truths about the total cost of laser hair removal in Pittsburgh that laser franchises and med spas hide from you. A competitor advertises 70% Off of laser hair removal packages. That’s quite a thumb on the scales. For some people these kinds of ads are as intoxicating as the sales pitch you’ll get on the day of your initial consultation. Ads will say – having to shave your bikini line, underarms, and legs before you enjoy the sun can cause razor burns and razor bumps. What could be nicer than to avoid that? Wearing summer clothing and swim suits can be “hairy”. Waxing is temporary and very painful. It doesn’t solve your problem. Then there’s the five o’clock shadow and the time that you lose shaving. Less daily maintenance. And that’s not to mention, the lifetime cost of razors. Nevertheless, remember that these seductive ads are expensive for you. That expense has to be incorporated into your total cost. That’s why having your laser hair removal in a doctor’s office is your cheapest and safest alternative. Doctors who specialize in lasers don’t have expensive marketing costs, sales personnel and their associated administrative costs. Doctor’s offices can pass these savings on to you. No hard sales or pushy up selling. No head fakes and smoke screens. No free body areas thrown in or devious efforts to influence your decision. Just a medical service at a price that you can afford without destroying your wallet in the process. Always shave about 24 hours before a laser hair removal treatment. Don’t puck or tweeze for at least a few weeks or preferably a month before your scheduled treatment. The laser requires a target. If you rip the hairs out beforehand, the laser doesn’t have a target. It can’t “see” the hair follicle. It will fail. Shaving to allow the tiniest stubble is the perfect scenario. Moreover, if the hair is too long, the heat from the laser treatment will be more painful than if you just had a tiny stubble. The laser targets dark objects. If your skin is tanned, the laser will also target your skin. That results in a skin burn. If the burn is deep enough, it can result in a permanent scar. Most people aren’t told the risks of laser hair removal. That’s why people have it done is salons and spas. Potential problems and laser hair removal risks and complications don’t even cross their minds. Caffeine can make you more nervous. Anxiety and nervousness is exaggerated by caffeine. Laser has a degree of discomfort involved. Depending on the person, this varies. Hold off on the caffeine before your treatment to minimize this factor. That will make your experience less uncomfortable. The spa music that we play in our office helps you relax. Not making these mistakes will make your laser hair removal experience much more rewarding. However, the we’ve saved the biggest mistake for last. The biggest mistake you can make is – not having your laser hair removal at Happel Laser. Because Happel Laser has the longest experience doing laser hair removal in Pittsburgh. We are a physician’s office. Not a med spa. Not a laser franchise. We don’t push expensive packages. That makes it financially safer for you. Fun fact: You don’t have to risk thousands of dollars up front. As a reputable doctor’s office, we get referrals from surrounding doctor’s offices. We collect accolades like parking tickets on an abandoned Volvo on Liberty Avenue. Read our Pittsburgh laser hair removal reviews here. Got hair? – Get Happel. Call us at 724-969-0600 to get your unwanted hair removed in a professional and safe environment. 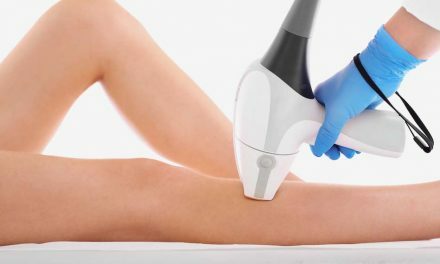 NextHow Much Does It Cost for Laser Hair Removal of Legs in Pittsburgh?